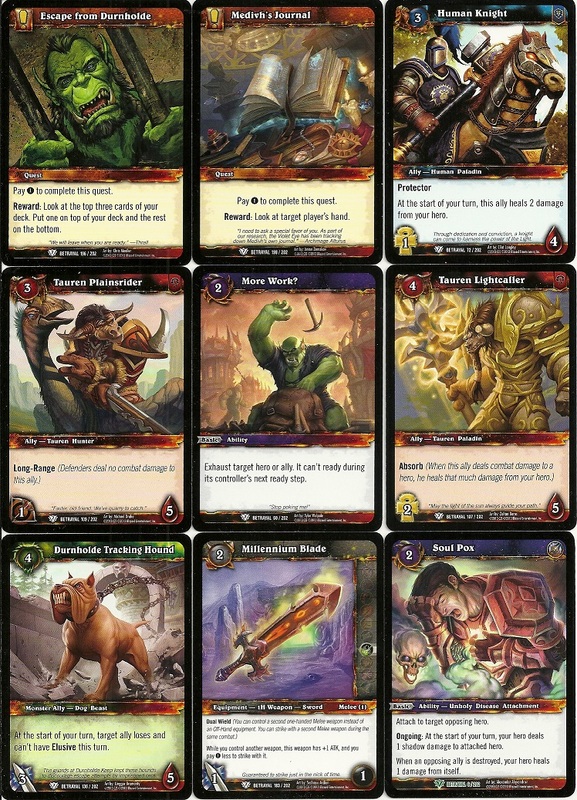 I don’t have any packs this week since I spent my weekly “budget” on virtual cards, Hearthstone’s newest set Goblins vs Gnomes so I thought it would be a good time to take a look back at the World of Warcraft CCG/ TCG. Unlike other lost CCGs I have highlighted on this blog, World of Warcraft only went out of print last year. It was first published by Upper Deck Entertainment. As we know, Upper Deck made a number of questionable business decisions (like making bootleg Yu-Gi-Oh cards) and lost the license in 2010. Cryptozoic Entertainment then took the mantle only to lose the license when Blizzard decided to make Hearthstone.